During 1958, SAC's commander, General Thomas Powers, requested the program be revaluated. He then recommended it be cancelled as the technology was obsolete. Headquarters USAF overrode his objections and decided to continue a limited Snark program that called for the operational deployment of one Snark squadron. It was to be the existing 556th SMS. The 702nd Strategic Missile Wing was the only Snark Missile Wing. It was established on June 17, 1958, and was activated on Jan. 1, 1959. It was assigned to the 45th Air Division from Jan. 1, 1959 to June-25, 1961. It performed Snark intercontinental missile test operations from Patrick AFB, Fl April - July 1959, and from the Atlantic Missile Range at Cape Canaveral, Fl. Dec. 1959 - June 1961. The 556th SMS was assigned to the 702nd SMW on April 1, 1959, but was inactivated only six weeks later, on July 16, 1959. It never moved to Presque Isle. The planned activation of the 702nd Missile Maintenance Squadron was also cancelled. This put the 702nd Strategic Missile Wing in the unique position of having no assigned subordinate units. All operational and maintenance functions associated with the Snark ICM were handled by the 702nd SMW's deputy commander for missiles. The 702d SMW placed the first Snark ICM on alert on 18 March 1960 and by the end of fiscal year 1960, a total of four Snark missiles were on strategic alert. Yet, it was not until 28 February 1961 that SAC was able to declare the 702d SMW operational. But the Snark was living on borrowed time. Shortly after taking office in 1961, John F. Kennedy scrapped the project. The Strategic Air Command's negative evaluation of the Snark's potential was reinforced on 28 March 1961 when President John F. Kennedy, in a special defense budget message, directed the phase out of the missile because it was "obsolete and of marginal military value" relative to ballistic missiles. The President cited the weapon's low reliability (a particularly sore point to his Secretary of Defense), inability to penetrate, lack of positive control, and vulnerable, unprotected launch sites. 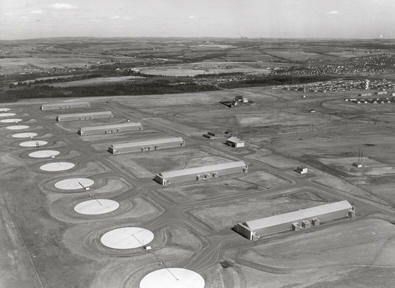 Accordingly, in June 1961 [various sources report either 2 June or 25 June], SAC inactivated the 702d Strategic Missile Wing at Presque Isle AFB less than four months after it had been declared operational. The 556th SMS was reactivated on Oct. 1, 1961, and assigned to Plattsburgh AFB, New York, where it was took charge of the only Atlas Missile Complex east of the Mississippi River. 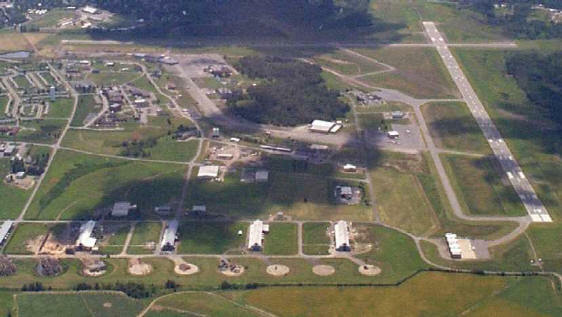 Presque Isle AFB was redesignated Presque Isle Air National Guard Facility, but it was short lived. The base was soon retired and converted to a regional airport, technical college, housing area, and industrial park. It contains a small museum honoring the 702nd Strategic Missile Wing. This missiles were probably sent to Davis-Monthan AFB and converted to scrap metal, as they had no military value and could not be used in connection with the space program. Aerial view of Presque Isle in the 1990s. Snark missile hangars & launch pads are in foreground.